The other day I was reading an adoption related article about how different factors can contribute to the potential for the growing adoptee to act out. It was a good article in some ways because the author noted many of the significant factors such as fasd, adhd, early neglect and abuse, mental illness, attachment etc. The article mentioned different therapies that can be used with these challenges and, like most adoption literature, it ended with the implication that if the parents get the right therapy for their child, then all will be well. And that's when my headache started. This article repeated the myth, which I've discussed ad nauseum before, that therapy will *fix* kids who present chronic conflict. Okay, I make a large part of my income as a therapist so it's pretty safe to assume that I believe that therapy works for some people in some situations. What I don't believe is that therapy will *fix* our kids. I do believe that permanent, stable, committed parenting will help most of our kids reach a safe and positive adulthood - but I don't believe it will do diddly squat during the growing up years. I do believe that supporting the parents, providing them with respite, and providing them with effective conflict management skills will get the family to the finish line in one piece and with relationships intact or at least reparable. However, because of the myth of the magic answer, I observe that while the good intentioned parents are dragging Junior from one therapist to another, nothing changes in the family, but something gets noticed by Junior -- and that is that everyone is seeking the magic answer that will fix his world. This process creates kids and youths who are professional clients - they view themselves as belonging on the caseload of someone who will save or fix them, because they have spent their pre-adoption years being monitored by child protection and then adoption workers, and then their post adoption years are spent learning how to behave in a therapist's office. Junior becomes trapped by the notion that there is a magic answer somewhere out in the universe that will make everything better - and so she moves into adulthood with this outlandish belief and she is stuck blaming everyone else for the ongoing problems. Really, what else could you expect a child or youth to believe if that is what the parents are taught to believe by the adoption industry? But, it must seem like a trick to the young adults, because once they hit the age of majority, society no longer views them as victims of their early years, instead, they are viewed as failures or worse. They have transitioned through each life stage seeing therapists who specialize in working with children, to therapists who work with teens, to therapists who work with adults who continue to struggle with drugs and alcohol, or who struggle with parenting, or who live below the poverty line. They have become professional clients - they view themselves as passive recipients of other people's efforts to get them *fixed*. Well, this is one of those few areas I do have ideas for changing this, and again, I've written about this before. We need to stop buying into the myth of the of magic solution and start buying into the reality of supporting parents. We need to accept our kids for who they are in the moment - angry, hurting, confused, unpleasant, sometimes threatening, drug abusing, rude, addicted to social media - and we need to use skills to manage the conflict and the anger they create.We need to role model our understanding that there are no magic answers or right therapies that will replace time, commitment, stability, and emotionally regulated parents who can go the distance with the kids. Its possible. Hey, enjoy your day - and know that you are entitled to a better one!! The other day I was looking for a particular blog that related to adoptive parent trauma; and, by simply putting in a couple of key words, I was presented with over two dozen blogs that are adoption related and have the word "trauma" in the heading. Each of these blogs focused on the emotional trauma of raising chronic conflict children & youth. I am sure if I could find two dozen in 30 seconds there must be hundreds more. That spurred me to check out a few of the top adoption conferences that are going on this year and see how many are offering workshops that help parents deal with the trauma they develop from raising CCC&Ys. I couldn't find any other than the one I'm speaking at in October. There are the usual (and excellent) workshops on how to parent traumatized children, and some that talk about how parents can maintain a healthy lifestyle - but not much on how to raise children with chronic mental health issues and none (that I could find) that overtly talk about the heart break, the exhaustion, the marriage breakdown, the financial devastation, the loss of friends, loss of family, loss of self worth, and occasional suicidal ideation that so many Hazardous Parents experience. So, what is my point? Well, it seems to me that if adoptive parents are strongly identifying as being traumatized by the parenting experience, then what on Earth is it going to take to get the adoption industry to start dealing with that? I am often asked to speak at adoption events but there is too often the boundary that I can only present on parenting strategies, not about parent trauma. So, I decline. I understand that there is a fear that if prospective parents understood how hard this life is, then they will run for the hills. But you know, I don't think that's the case. I think that most prospective parents wouldn't believe that they would end up as wounded as I was. I think they would believe that their commitment to the child ...and their willingness to learn new ways of parenting ... and their faith.... and their current support.... and their whatever would ensure that they had a very different experience. I know that's exactly what I thought and nothing I heard would have changed my mind. They would still adopt, and I would still encourage them to do so. The difference that I would present to prospective parents is in what I believe they will need to use down the road. For example, I would encourage them to a) learn about mental health disorders in children and to b) learn that not all, in fact very few, behavioral challenges will resolve with attachment, and that c) that most therapists don't understand adoption dynamics or mental health disorders in children d) that their child will hate them throughout most of adolescence and may even try to overtly harm them e) that therapy to resolve the child's early trauma is important but it will not prevent the child from presenting chronic conflict. So, I ask again, what does it take to get the adoption industry to change direction? How do parents get professionals to listen? I try to do that through my blog and any other means possible, but it isn't enough. We need to be strongly advocating for ourselves and our children. We all deserve to have our trauma acknowledged and treated. We deserve better than what we are getting. And, its at this point in my blog when I want to state that yes, I love my children. No, I don't blame them. Yes, they are doing okay in life. I also want to state that I don't believe this is just an adoption issue, I believe that we are victims of society's failure to understand and respond to mental health challenges and that the denial found in the adoption industry is just a reflection of the larger societal problem. But you know what, I'm not willing to be part of that denial. I'm not willing to stand by and see another generation of adoptive families get fractured and hurt by that denial. I hope you aren't either. Remember, you (and your children) are entitled to a better day. 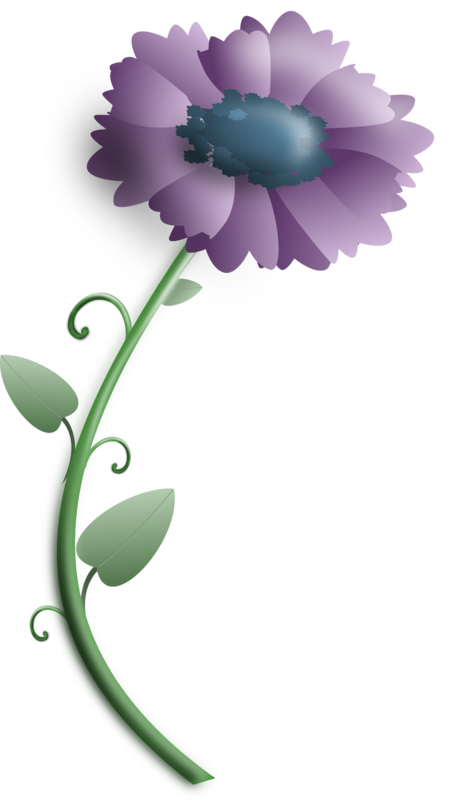 I joined the The Caregivers Network when my mom was slowly dying from Alzheimer's. I still subscribe to their newsletter and I received this valuable and relatable piece the other day. "Don't give advice to a drowning person" was the title of a blog by Susan Macauley and said, in part, "It’s clear to me that a lot of the advice offered to dementia care partners is given by people who have never cared with/for someone who lives with dementia and/or who don’t appreciate the challenges care partners face. If they did, they wouldn’t make some of the suggestions they do." Isn't this totally true of those of us who live with children and youth who engage in chronic conflict? If we even dare to risk telling the truth about the struggles we face we are so often told to take another course in early neglect & abuse because somehow the reason we can't manage our child is because we don't know enough neuroscience; or, to get counselling (whatever that means); or, to be more patient; or, ...or....or....yup, I still hear about other therapists giving suggestions about sticker charts and contracts. We often feel like we're drowning while we try to keep ourselves and our family afloat despite the crashing waves of our youth's rage that drag us back under time and again. If we say we that nothing is working then either the service providers give up on us because they know that if had only followed their brilliant instructions then everything would be peachy; or, in some locations, the child protection services charge on in. Rarely, so very rarely, do they ask us what we need. And even less often, is what we need provided. Many of you have mentioned that we need organized and appropriately trained respite and we need effective strategies for managing (not changing or resolving) rages. However, it isn't enough that we talk to each other about that - we need to saying this to the adoption industry as well. The people who have influence over the training of social workers and counsellors need to hear us. To that end, I invite you to start speaking up. Church? Adoption support group? Social workers meeting? Agency meetings? Parent panel at major conferences? If you're attending a conference then don't be afraid to button down some of the speakers and tell them you need more help than another workshop on how to talk to teens, or another attachment workshop. You probably know more about this than most presenters because most of them aren't parents of children like ours so don't feel shy - speak up. Give witness to your reality! We don't need advice, we don't need support, we need action. And, in the meantime - have your best day possible. The other day I was having a discussion with another therapist regarding the wonderful training she had recently completed. 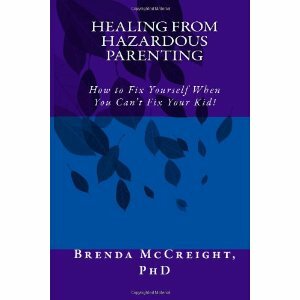 It was delivered online, over several months, by a well known expert in early neglect and trauma. My colleague was thrilled with all she had learned and so was I because I am always happy when more professionals learn about the long term impact of early trauma. However, I can never leave anything alone, so I asked her how she intended to use that to help struggling adoptive parents manage the rages, stealing, lying, verbal abuse, chronic conflict, sexual acting out, drug abuse, etc that most live with. She blithely explained to me that she would teach the parents about the neural issues underlying their child's behaviours and......and.....I waited.....and waited some more.....and nope.....she didn't get it. So, I explained to her that by the time their children reach middle childhood or adolescence,most adoptive parents have already likely taken the same course, or several just like it and will have a solid understanding of the way in which their child's brain has been harmed. What they won't have learned, and what she doesn't seem to understand she should be helping them with - is a) learning what the years of raising a child with chronic conflict has done to the parent's brain and health and b) what the parents can do to manage the conflict and care for themselves so that no one's brain continues to be harmed. Oh, and c) understanding that the goal for the family is to be still living or at least relating together in a loving and supportive way rather than in a "I've crawled to the finish line so get me out of here now" kind of way. Well, that ended that collegial relationship. It just seems so hard to get professionals to realize that understanding the child's dynamics is hugely important, but for those children who aren't responsive to therapy during the growing up years, it's vital to provide support to the parents. 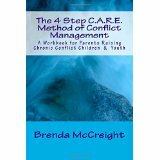 The parents needs conflict management skills that are appropriate and effective for chronic conflict kids who can't change (yet), and respite so that the parents can sleep a few days without fear, and teachers who understand that kids who negotiate with knives aren't likely to do homework. I know, I don't need to go on, you already know this. So why do I keep writing about it? Because it needs to be public and it needs to be shared over and over again until something in the system changes. Hazardous Parents need specific services that are rare to be found and rarer still to be funded. Silence won't get us those things. Speak up - tell anyone who will listen that you, and your family, are entitled to more. When you ask for respite and you are told there is no funding - write a letter to the relevant politician and to the head of the agency that doesn't have the money, and to your local paper. Write your own blog about this. Give a talk at your church or book club or professional association. Do something, stop accepting "NO" for an answer - you hear it enough from your child or youth - you don't need to hear it from the services that should be helping you. Hey, you are entitled to a better day. Much of the truth and the challenges of adoptive family life are denied by professionals which leaves you, the adoptive parents without the resources to help you figure out how to live with a child who daily uses both words and behaviors to tell you that they are not good enough. She does this by rejecting your affection; by attacking you verbally and sometimes even physically; by swearing at you; by lying about you to others; by refusing to engage in the basics of family life (such as eating Christmas dinner with the family without disruption); by getting kicked out of, or quitting, every extra-curricular activity in which she asks you to enroll her; by chronic lying and stealing; by the discord created by secret contact with birth family. And in the process, you lose something of yourself. And you begin to believe that he is right, you are not good enough. And so you withdraw from friends who don't understand (which is likely all of them). You stop responding and you start over-reacting. You develop a sense of high and anxiety alert just like your child's. You begin to doubt your own reality amidst the lies. Yet, you still love your kid with all of your heart and instead of rejecting him in return, you endure and you keep trying and your heart aches so badly you think it will crack and you feel like your home is the saddest place in the world. And that, my friends, is where I think the skills development needs to take place. It is in learning how to live with a child who doesn't, and may never, care about you. It's in learning how to live a parallel fate so that while you are offering your child the opportunity to learn that life can have meaning and that relationships can be safe ---- you still have the capacity to enjoy a life of quality and meaning. You need the skills to love your child without surrendering your joy and your own emotional health. So now you want to know how to do that, eh? Well, I'm working on that. However, to me, the first step in this process is to start talking about it out loud. To start telling others publicly about what our lives are like. We need to make the adoption industry catch up with today's adoption realities. I have feared doing this because I don't want my children to read this or hear me speak at workshops and then think this means that I don't love them or that they are, or were, too much trouble. I have been held back because I know that my children, and yours, aren't responsible for the problems they present and so I don't want them to feel blamed or hopeless. That has kept me silent, and it has kept me from doing anything to change how things are. Well, being silent to protect my kids might have worked for some of them, but it sure didn't work a couple of them, so I'm done with that. I think it's time to shake things up. How about you? This blog is really a thinking work in progress because its where I'm working out my thoughts and opinions on what I think needs to be talked about in the adoption industry. So, if you find I'm not very clear, well, I expect to be more so as my thoughts develop. What do I mean about *Parallel Fates*? Well, David Kirk believed that we had to acknowledge the differences that adoption brings to a family. That meant that even though our beginnings were separate, our fates could be shared. Nowadays, the children are most often adopted after they have been pre-parented by birth parents, and at least one set or more of foster parents. They have already shared their lives, and the first steps of their fate, with many people. So, on to how this relates to Parallel Fates - As you know, between the ages of about 2 and 4, children may be playing in arm's reach of each other, but they are each in their absorbed in their own little play world. They don't share, they don't interact (other than to occasionally try to take the other's toy), they don't have the same rules, or the same expectations, they have limited communication with each other, and they aren't playing the same thing. They didn't intend to be together, they were placed in the situation by well meaning parents who believe the children need the social time with peers or because the toddlers attend the same daycare. I think that adoptive families are often doing the same parallel type of thing because even though the parents and children live together, they share little in the way of healthy and positive communication; they don't have the same goals; they don't share the same language of feelings; they don't agree on the tasks to be done or the relationships to be formed; their values differ and clash; and, they are unsupported or even sabotaged by those who don't understand or validate this version of family. Furthermore, the children and the parents don't really choose to be together because their family is constructed by social workers and policies and tragedy and loss. While the parents are outwardly focused on creating their vision of a loving family, the children are inwardly focused on coping with brain differences caused by pre-natal exposure to toxins combined with the long term brain impact of early neglect & abuse. The child with substantial brain differences is expected to conform to the expectations and values and goals of neurotypical parents and neurotypical teachers and maybe some neurotypical siblings. Its a round hole and square peg kind of thing and as a result, their lives are less about sharing their fates and more about surviving their fates. This leaves the members of the adoptive family living very parallel lives - in the parent line most will do their best to provide Junior with everything possible to make this a functional, loving family and to help Junior reach their version of success. However, in the child/youth line, Junior's understanding of family and personal success is a result of what he experienced before this family was constructed and he will continue to react to that version for most of his growing up years. As always, I want to state that I strongly believe that adoption is the best alternative for children who can't be raised by their genetic parents. I also want you to know that I truly love my children. But, as I watch the changing challenges in adoptive family life, I believe we need to be having some very different conversations about what adoption means to all members of the family. The adoption industry needs to be seeking the opinions and input of those now grown adoptees who were placed after infancy. It needs to be acknowledging the challenges that current adoptive parents face in dealing with birth family and with brain differences. We can't keep pushing a perception of adoptive family life that might have been true 10 or 20 years ago, we have to deal with what we have now. One of the least managed and least acknowledged issues in adoption today (in my opinion) is the impact of birth parents on the adoptive family. Most prospective or even current adoptive parents that I work with still seem to be under the impression that whatever is in the adoption order regarding contact or access will be upheld by all parties. And, many people turn to international adoption because they believe that will reduce the likelihood that they will ever have to deal with birth parents. Well, that might have been true years ago, but not anymore. Today, you can bet your bottom dollar that if your child is on social media, or has access to anyone else's accounts, that there will be contact with genetic family. To complicate the issue, many youths get their Facebook accounts just as they are entering their teens, possibly the worst time of all for them to have to deal with the complexity of family of origin. And, for the adoptive parents who are likely dealing with some degree of acting out, the challenge of dealing with negative birth family influences is one straw too many. It might also be a straw that you don't even know about. And, just because you adopt a child from another country, even a 3rd world country - well, they have computers there, too, so don't expect distance or language to be any protection from unwanted or un-monitored contact. I've had many parents tell me that they would know if their child was having contact with bfamily because they monitor their child's Facebook or facetime, or Skype, or snapchat or instagram or kik or whatever, but hey friends, do you really think your youth is showing you all his accounts? Not likely. Even healthy, planned contact can create problems. When genetic grandma drags out the family album with lots of pics of mommy or daddy looking great and pics of mommy or daddy playing or holding Junior (prior to removal and adoption), this can create emotional havoc. Whether the genetic grandparent or aunt or older brother means to cause problems, well who knows, but for Junior its a clear message that she belongs elsewhere and it creates a wall of secrets as Junior attempts to hide the amount of contact or the impact it's having on how she views her adoptive parents. The birth parents or other genetic family members who engage in social media contact without the involvement or consent of the adoptive parents probably aren't able to consider the best interests of the child anymore now than they were when the child protection authorities removed Junior from their care. They may engage in this contact out of love and grief for the child, or it may be an issue of power and control. Who knows and who cares, because their reason doesn't change the result - which is that Junior will emotionally disengage from the adoptive family and will not perceive the adoptive parents as his primary source of guidance, emotional support, and parenting. We can't stop or control this contact so there is simply no point in living in denial about its impact. What we have to do with this is understand that it is yet another way in which we live parallel family lives instead of a shared family life. We have to go into adoptive family life knowing that Junior is going to be *parented* by birth family regardless of the adoption order and that this is going to create emotional walls, increase conflict, and reduce adoptive parent influence, and sabotage adoptive family relationships. It also results in there being a plan for Junior to return to the birth family as soon as he can. Yes, that has always been an issue, but it didn't used to be planned and encouraged by the birth parents and it didn't used to happen when Junior was still in her early teens. So, let's get honest with this. Let's advocate for adoption trainers to be talking about this and teaching prospective adoptive parents that ongoing and un-monitored contact between Junior and birth family will be their reality. Let's ask adoption professionals to talk about how this changes adoptive family relationships and how it changes what adoptive parents can expect from their adoption experience. Okay, enough for today. Please remember, you are entitled to a better day. Shared Fate: A Theory of Adoption and Mental Health, 1964 was a ground breaking book. David Kirk helped society to shift away from viewing adoption as a secretive and slightly shameful way of growing a family into seeing it as a social construct created out of a shared need for family. Kirk acknowledged that adoptive families had differences from genetic families and that it was to everyone's benefit to acknowledge and embrace the differences. And, that book has pretty much been how adoption has been presented ever since. Well, times....and adoption..have marched on and now, the adoptive parents and the adoptees have more of a parallel fate than a shared fate. Today, most children are adopted at a much older age, and might well have lived with their genetic parents for years, or at least long enough to have substantial memories - both good and fearsome. They may have had access visits with the genetic parents up to the adoption placement or long after through Facebook or more formal arrangements. They may have had many moms and dads while they lived with one set of foster parents after another....with some of whom they established bonds and others whose names they never even knew. They may have ongoing contact with genetic family members who continuously remind them who the *real* parents are and basically teach the children to believe they are living in exile ( I got that magnificent phrase from an adoption expert in Toronto). Yet, somehow, there remains an expectation that the adoptive parents will step in and (as long as they take the right attachment training) will be fully accepted as the forever parents. Not quite that easy, eh. True enough, most adoptive parents do love their children as fully and completely as if they were born to them. Humans have DNA programming to protect and care for the young (well, most of us do) so it's not that difficult for us to see ourselves as the parents of a child who was born to another. However, that doesn't always work the same way for the children, and it has nothing to do with attachment or bonding. It has to do with a complex combination of factors including brain differences from early neglect and abuse, from fasd, from too many caregivers, and from many conditions that don't get diagnosed before adulthood, as well as from ongoing or intervening contact with genetic family. Before you get too mad at me, I want to be clear that I'm not suggesting we go back to secrecy in adoption, even if that was possible. I'm not evaluating the rightness or wrongness of how things are, I'm only trying to bring them up for discussion and validation of the current adoptive family reality. I also want to be clear that I love my 14 children. Currently, I have good, or at least reasonably positive, relationships with 12 of them. It's a bit dicey with 1, and 1 hates me. I'm not going to talk about my family more than that because I need to respect their privacy as most are now adults, but I felt I needed to be transparent. I am not writing this blog out of bitterness or regret in my own life - I am writing it because I am both a parent and an adoption professional and I know its long past time for the adoption industry to undergo change. I'm also writing it because I know how hurt so many adoptive parents have been because we aren't talking truth about our lives - so, here is your place to do so. You may not agree with me - that's fine - just be polite and say the things you need to have witnessed. Yes indeed, you are entitled to a better day. These are just the tip of the iceberg. I'm sure you can name a hundred more. I'm not spending any time thinking about or writing about whether these changes are negative or positive. They are what they are and life never goes back to how it was. Adoptive families have always been great at adapting and that's what we have to do now - we have to adapt to what we live with now. What I am going to spend time thinking and writing about is how to get the adoption industry to catch up with modern adoptive family life. I want to talk about major change in pre-adoption training so that prospective adoptive parents understand the ways in which in their lives will change not just from having a new child in their family, but from all the changes I've listed above. I want to help parents and professionals understand the adoptive family life cannot be the same as other types of family life - yes, the parents will love the child as their own and will do all it takes to provide what is needed - but they will be hampered in this if the adoption professionals aren't honest about the high level of ongoing needs that the children will present and if everyone pretends that the birth family won't have continued contact with the child, whether its formal or done in secret on facebook or snapchat. I would like this blog to be a place of discussion for parents and professionals who want to honest dialogue about the new realities of adoptive family life and how we can best support the families in ways that work now, not in ways that worked ten years ago. So, here we go... I hope you'll join me. Hey, remember, you are entitled to a better day!